Plants cespitose, not rhizomatous, occasionally glaucous, particularly the spikes. 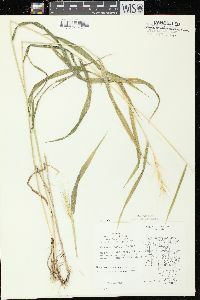 Culms 50-140 cm, usually erect, occasionally geniculate below; nodes 4-8, exposed or concealed, glabrous. Leaves evenly distributed; sheaths usually glabrous, occasionally pilose, often purplish; auricles usually present, 0.5-3 mm, brown to black; ligules 1-2(3) mm; blades 4-16 mm wide, lax, usually deep glossy green, adaxial surfaces pilose or scabridulous. Spikes 7-20 cm long, 4-7 cm wide, more or less erect, usually with 2 spikelets per node, rarely with 3 at some nodes; internodes (3)4-8(10) mm long, (0.1)0.2-0.3(0.4) mm thick at the thinnest sections, flexuous, usually glabrous, sometimes scabrous or hirsute, usually with green lateral bands. 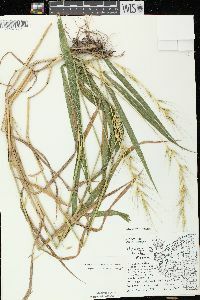 Spikelets 10-18 mm, strongly divergent to patent at maturity, with (1)2-4(6) florets, lowest florets functional; disarticulation above the glumes, beneath each floret. 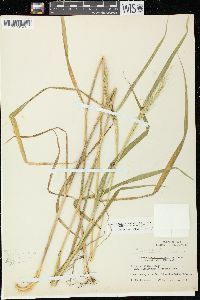 Glumes usually vestigial, sometimes 1-3 mm long, about 0.1 mm wide, subulate, entire, with no evident veins, occasionally to 10(20) mm long including the undifferentiated awns and differing in length by more than 5 mm, 0.1-0.2 mm wide, setaceous, tapering from the base, usually glabrous, occasionally appressed-puberulent to strigose, sometimes scabrous, usually straight, rarely somewhat curving, margins firm; lemmas 8-11 mm, usually glabrous, occasionally appressed-puberulent to strigose, especially near the margins and apices, awns (12)20-40(47) mm, usually straight, rarely somewhat curving; paleas 7-11 mm, obtuse or truncate, occasionally emarginate; anthers 2.5-5 mm. Anthesis mid-June to early July. 2n = 28. 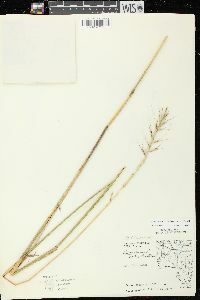 Elymus hystrix grows in dry to moist soils in open woods and thickets, especially on base-rich slopes and small stream terraces. 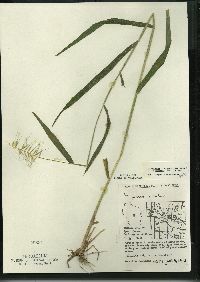 It grows throughout most of temperate eastern North America, extending west to Manitoba and Oklahoma, but is absent from the southern portion of the coastal plain. 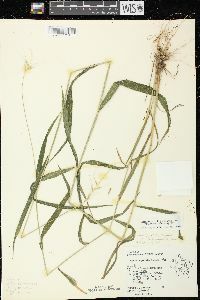 Plants with pubescent lemmas have been recognized as Elymus hystrix var. 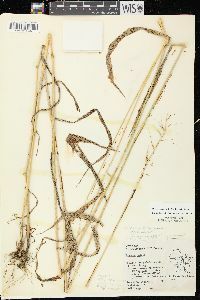 bigelovianus (Fernald) Bowden . These occur infrequently north of a line from South Dakota through Kentucky to New Jersey, and are often mixed with the typical variety; pure populations are known in the northeastern United States. 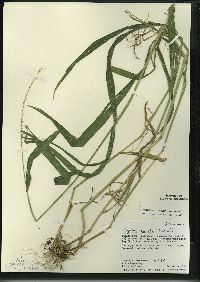 Plants with pubescent blades are also more prevalent to the north. 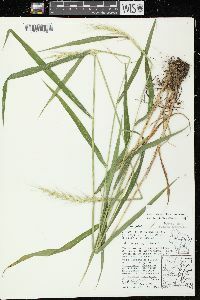 Elymus hystrix hybridizes with most eastern species of Elymus. 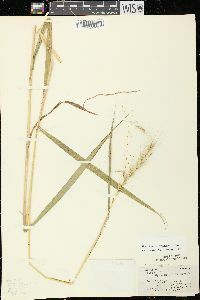 Introgression may account for the considerable variation in glume development and spikelet appression among these species. 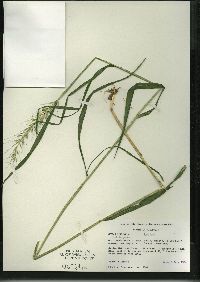 Lack of glumes may be a recessive character, with even slight glume development indicating introgression (Church 1967b). 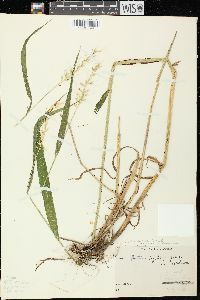 Plants with relatively well-developed, subequal glumes are presumed to be of hybrid origin. 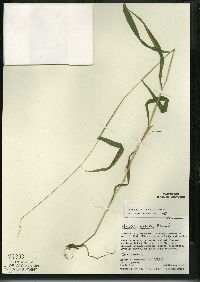 Such plants include most material from the Carolina piedmont region, where E. glabriflorus -is the most likely source of introgression. 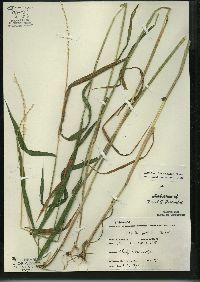 The relatively frequent hybrids with E. virginicus are usually sterile, but Church (1967b) made crosses through three segregating generations. 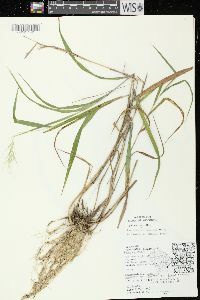 Within the ranges of Elymus diversiglumis , E. svensonii , and E. churchii , there appear to be frequent introgressants between these species and E. hystrix. 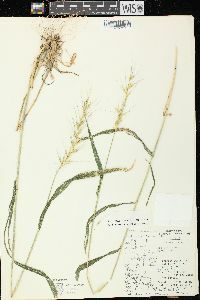 Further east, especially in the Appalachian regions of North Carolina, Virginia, West Virginia, and Maryland (including the shale barrens and nearby), there are scattered plants of E. hystrix with curving awns and, in a few cases, appressed spikelets (Campbell 2002). Whether these represent occasional variation within the E. hystrix gene pool, or whether they are outlying remnants of introgression with E. canadensis -during a past eastward extension, is unknown. 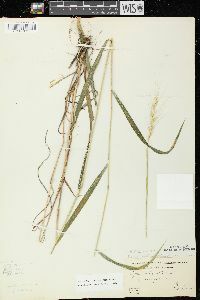 [Deam recognizes two varieties: the typical variety has glabrous spikelets, var. bigeloviana has pubescent ones. 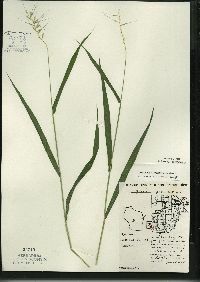 The glabrous form] is an infrequent to frequent grass throughout the state. It is a woodland species, but is often found growing in open places along fences and roadsides. It prefers dry soil and occurs in almost all types of woodland. The habitat of the [pubescent] variety is the same as that of the species. It is sparingly found in northern Indiana and is rare in the southern part of the state.